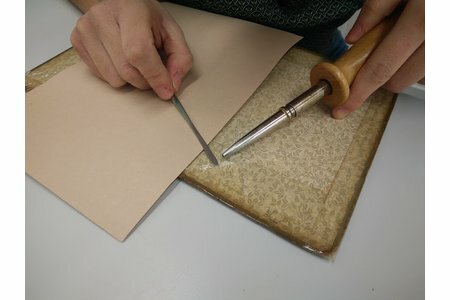 I recently completed a four-week volunteer placement at the Fitzwilliam Museum in Cambridge, in the conservation lab for Manuscripts and Printed Books. 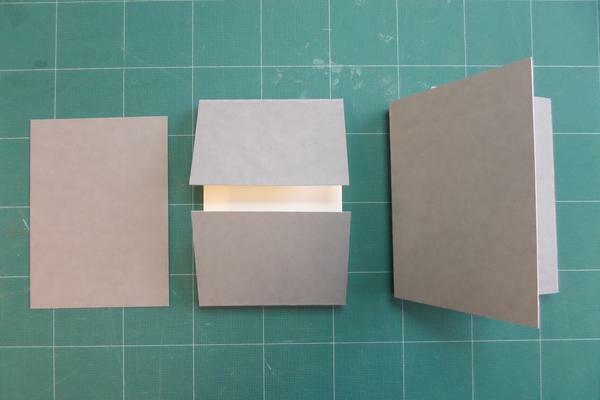 While I was there, I learned how to make this simple but elegant no-adhesive phase box. 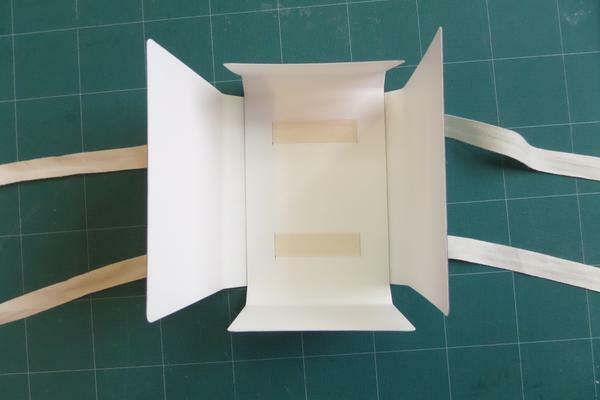 Unlike the more usual phase boxes you see, the two pieces of this box are connected solely by tapes rather than glue. This makes it very easy and quick to make, as it needs no drying time. There's no need to worry about off-gassing from the glue either. And it uses board more economically than phase boxes made from a single piece. 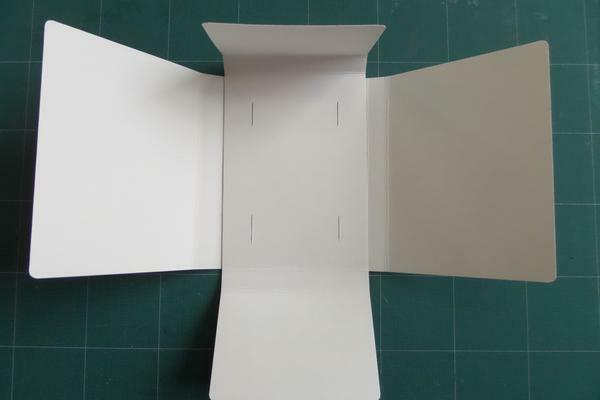 1) First, you need to prepare the three pieces of folding boxboard that together will make up the phase box. The formulas below show what measurements should be used, and also where you should score and fold the boards. 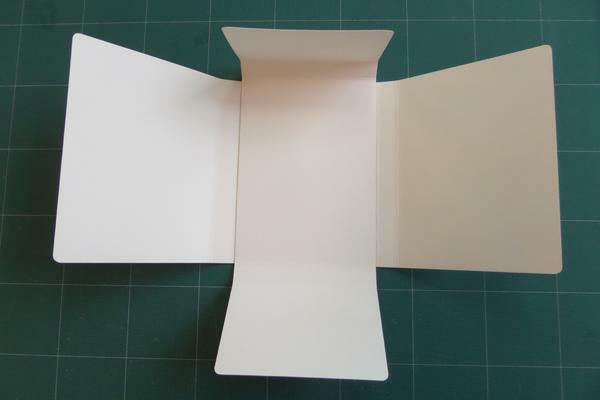 In each case, the folds should be parallel to the grain direction of the boxboard. The three pieces fit together by placing Piece 2 within Piece 1, then placing Piece 1 within Piece 3. 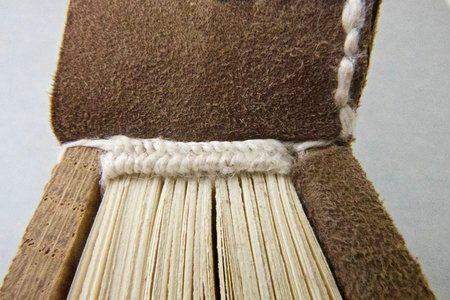 The fore-edge flap of Piece 3 will be the first to close, then the two flaps of Piece 1, then the spine-edge flap of Piece 3. 2) Round the corners using your tool of choice. I prefer to use a rounded chisel, which is very fast and easy, but if you don't have one available then scissors are fine. It may take a bit of practice to get the corners nicely rounded, though! 4) Cut the slots for the tapes using a utility knife. Make sure you hold everything in position as you do so, and that you cut all the way through both boards so that you have identical slots in exactly the right place. 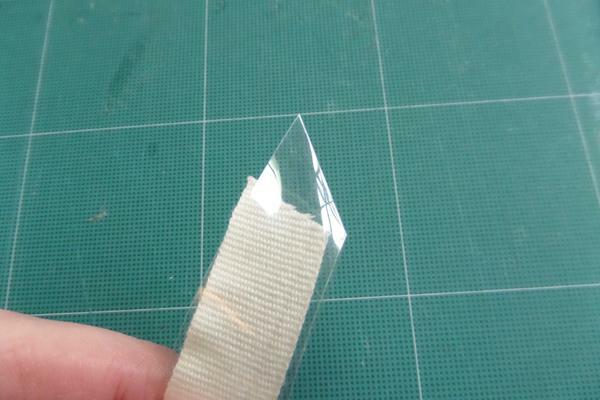 6) Use the polyester needle to thread the tapes through the slots. It's a good idea to work in stages i.e. thread both tapes through their respective first slots, then both through the second slots, and so on. This will mean you have access to the right slots throughout the process. When both tapes are threaded through, pull them so that the boards are fixed tightly in place and you have enough tape at either side to make the fore-edge tie. Trim off any excess on a diagonal. 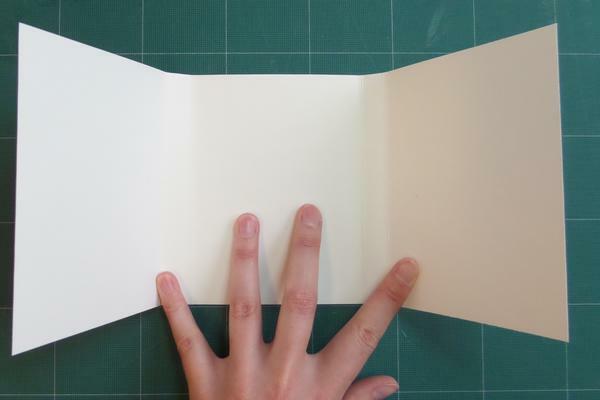 7) Place Piece 2 within Piece 1 - this will protect the object from the tapes. Then place your object inside. 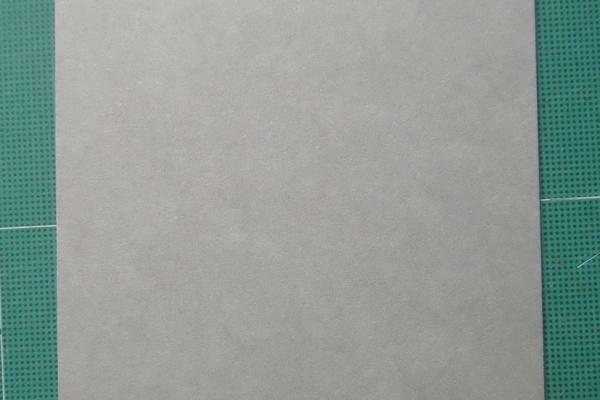 8) Number the flaps in pencil (unless your object is so sensitive that you don't even want pencil in contact with it). 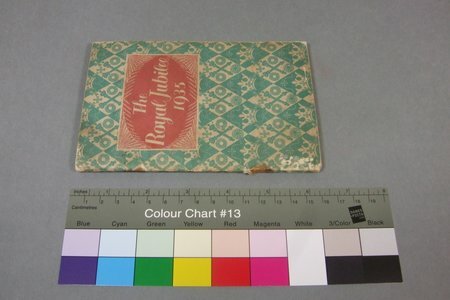 Remember the fore-edge flap will be folded in first. 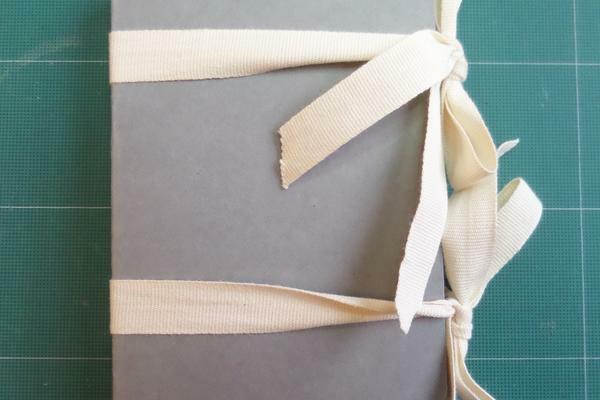 9) Close the box and tie the tapes at the fore-edge. Done!